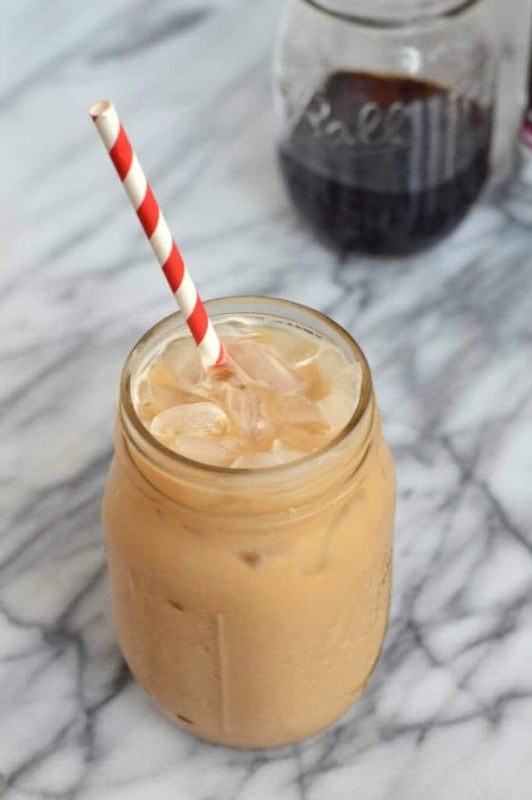 Making your own delicious cold brew iced coffee is so easy and will save you a ton of money. Whip up a big batch to enjoy for the rest of the week! Before cold brew iced coffee goes out of style, I figured it would be best to share my favorite way of making coffee in the summer with you guys before it’s officially hot coffee season. Or pumpkin spice latte season. Or whatever hot beverage you prefer season. I will always be a caramel macchiato or caramel latte kind of gal. But for now, let’s focus on the cold stuff to keep us cool in the summer. Cold brew coffee seems to be all the rage now – and I’ve tried it at a few coffee shops around town. Is it tasty? You bet. Do I love paying $3-4 for a medium sized iced coffee? Not entirely. Thankfully, making your own cold brew coffee concentrate at home is easy, much cheaper than buying it out at a coffee shop, and you can adjust the flavors to your own personal taste at home. Now that’s a real win! In less than 24 hours I will be boarding a flight for Disney World and to say I’m excited would be an understatement. It’s been 4 years since I’ve been there and about as long since I’ve had a “vacation” for longer than 3 days. I cannot wait to get my Disney on in Florida for a FULL WEEK. 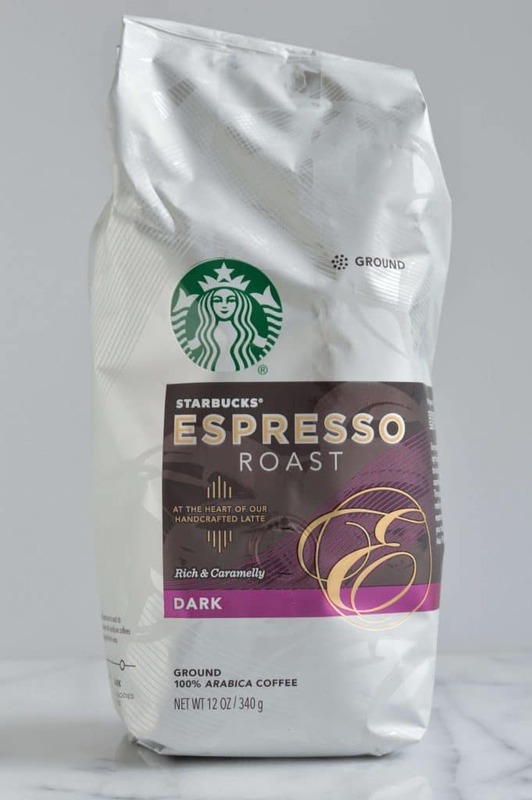 This coffee will likely keep me fueled throughout the duration of the trip since I intend on packing my stash of ground coffee and filters into my checked bag. I’m hoping that’s not one of those traveling faux pas that people make and inevitably have their bags rummaged through. A girl needs her caffeine fix! But anyway, back to the cold brew! This is so easy to make and just takes a little bit of patience for the overnight soak. I’ve outlined the basic process in the VIDEO (my first video!) below and go deeper into detail down at the bottom of this post in the recipe card. What’s your favorite summertime coffee drink? Did you make this cold brew goodness? Tag me on Instagram @citrusblossombliss or tweet me @citrusbb_blog on Twitter! I love and appreciate seeing your recreations on social media! In a glass mason jar, combine ground coffee and 1 1/2 cups water. Cover jar and let stand on the counter overnight for at least 12 hours. After the coffee has been left to steep for 12 hours, strain the grounds to separate the cold brew concentrate. Here we use a pour over cone and filter setup, but a french press also works well for this particular drink. Fill a glass with crushed ice. Add in 1/2 cup of cold brew concentrate and dilute with 1/4 cup water. Add in your desired amount of milk, creamer and sweetener, if desired. I've listed my preferred ratios above. 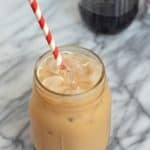 This recipe for cold brew concentrate makes 3 cups of cold brew coffee but can easily be scaled up or down. Making this RIGHT NOW!! Cold Brew obsessed! 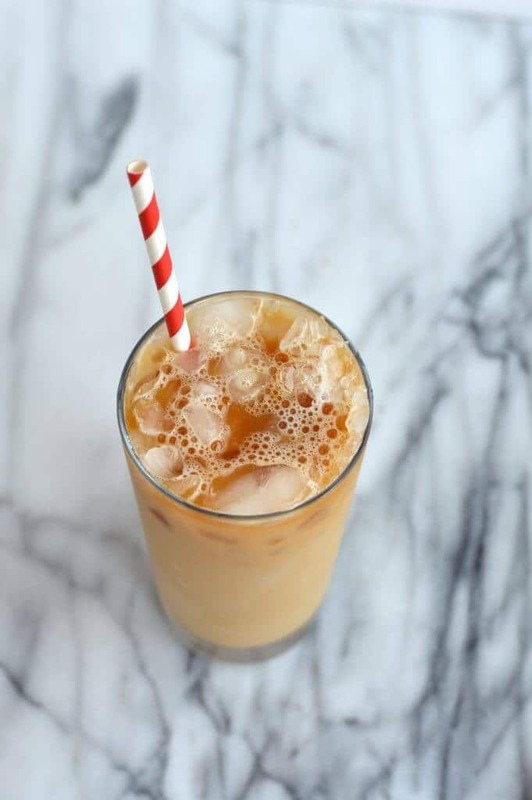 No no no no no… cold brew iced coffee NEVER goes out of style in my world!! 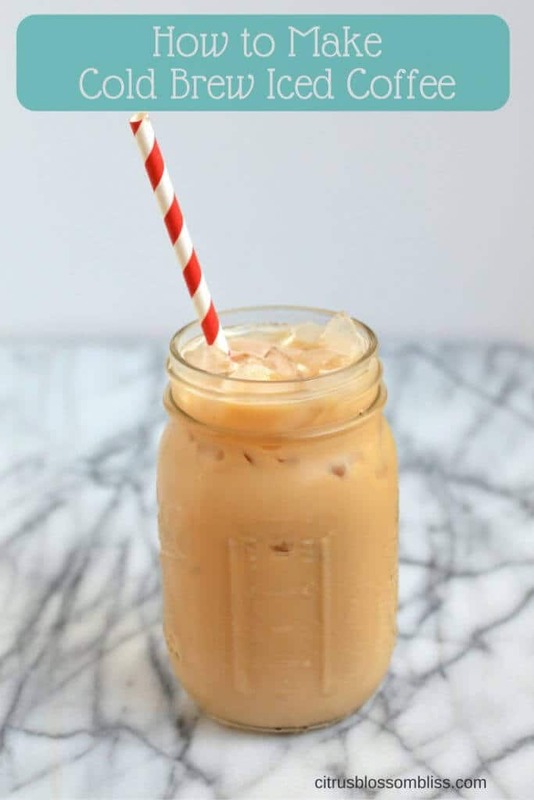 I only drink iced coffee, even if it’s snowing out, so naturally I am LOVING this post! I’ll take 7 gallons of this deliciousness.. and that’s just what I’ll drink TODAY. hahaha. 🙂 Cheers, chicka! Thanks, Sara! If you make a batch, let me know how it goes! This looks great! Definitely going to make this drink ASAP. Thanks, Kaylie! Let me know if you try it! Love this. both of us are totally addicted to cold press coffee! Thanks, guys! I’m obsessed too. Like, an unhealthy amount of this stuff flows through my kitchen and into my veins on a weekly basis.